After writing previously about My Analytics and the To Do app in Office 365, I decided to dig deeper into personal productivity philosophies and how the Office 365 toolset can help. 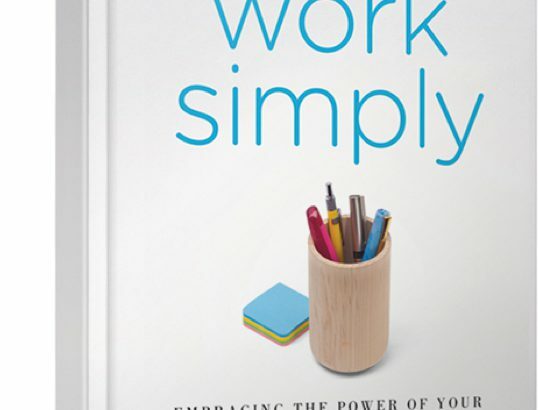 I went to my local library and found this little gem: Work Simply: Embracing the Power of Your Personal Productivity Style, by Carson Tate. Her premise is that the goal is not to just keep mastering time better and better, but to find out our personal productivity style. That doesn’t mean establishing a simple, one-size-fits-all list of do’s and don’ts, but figuring out what makes us happiest so we can do more of that. She outlines four productivity “styles”, the way you might classify yourself on a personality test: the Prioritizer, the Planner, the Visualizer and the Arranger. If I can summarize them, they fall generally along the lines of “type A” vs “type B” personalities; or “task-oriented” vs “people oriented”; and “analytical” vs “creative”. The Prioritizer likes to make lists and check them off. (Think accountants.) The Planner makes lists but in an effort to check off milestones toward an end goal. (Think project manager.) The Visualizer is the “vision” person or the “big picture” person who mentally keeps track off all the different parts and how they fit into the whole. (Think CEO.) The “Arranger” is a “people-person” who focuses on personal relationships. (Think people manager.) Obviously I have oversimplified the classifications, but this is the general idea. She goes into a little bit of depth describing each type’s work enbvironment, communication approach, pet peeves, and more. Like personality tests, though, she is quick to point out that most people are a mix of more than one, and the whole point of the whole exercise is not to shoe-horn yourself into one category but to use the “productivity styles” to help yourself identify how you work and how you can work with others. Prioritizer: time block small increments on your calendar (even down to 15 minute blocks) to carry out very specific tasks like checking e-mail. Planner: provide bigger chunks of time, (like “before lunch” and “after lunch”), to carry out bigger tasks, as one does when working toward a project goal.